BIRDMAD: Sutton peregrines - Sunday 12 June. Dad is active. 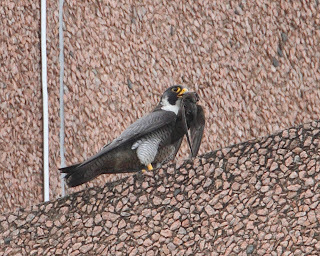 Sutton peregrines - Sunday 12 June. Dad is active. Rather quiet this morning. Weather was dull and calm. There was no wind to assist the youngsters. "Here, Dad! Go and catch us some breakfast!!" 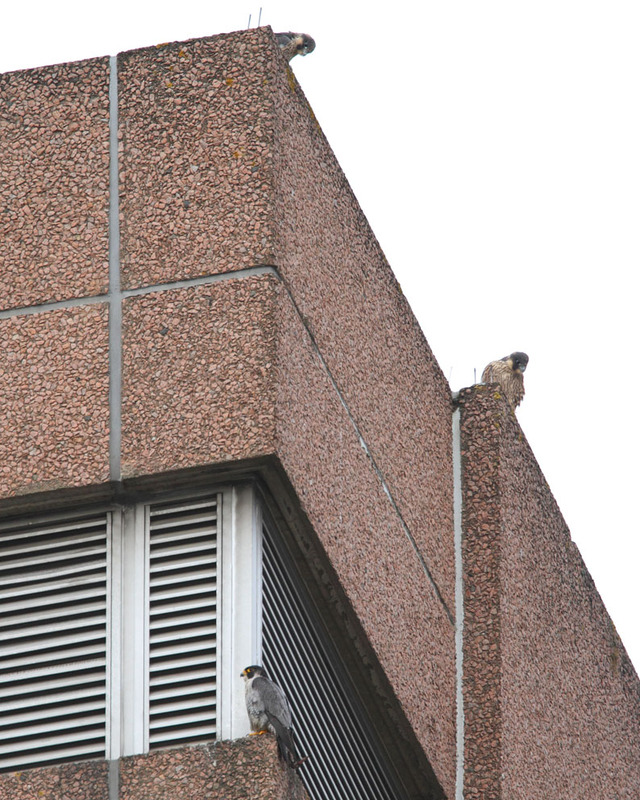 The male peregrine flew twice but the female just relaxed! The male brought back something both times. First it was a medium sized bird and he threw it to the chicks. The second time he caught a swift and ate it himself!! 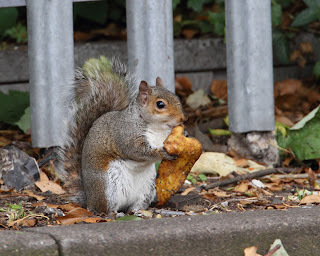 "Right, this one's for me!" Our male like swift too ! 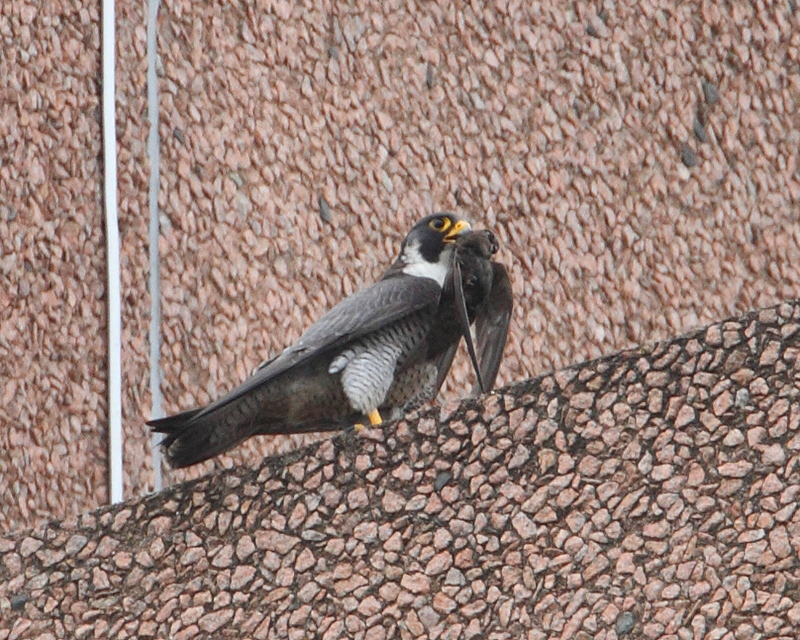 Nice shot of the male with the swift Phil!